I recently read about the growing popularity of boosters and decided to create my own at home. 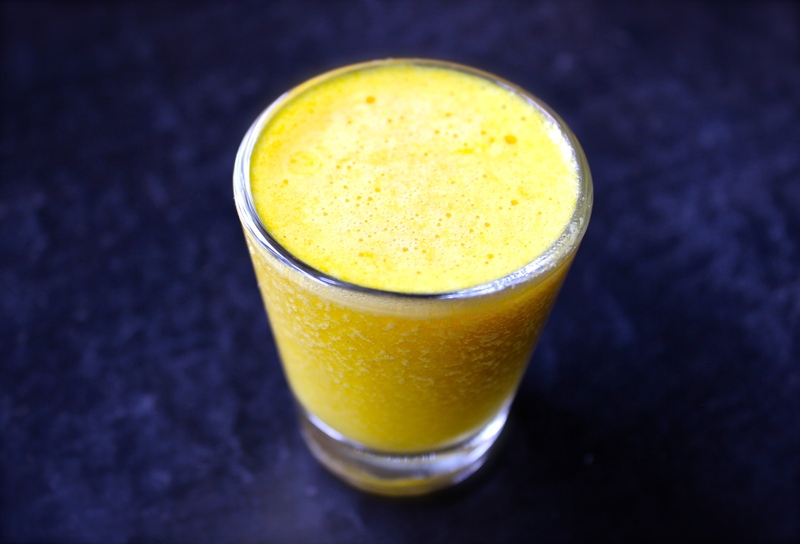 Basically, boosters are small glasses of pure nutrient-packed juice with herbs or spices. This one is a combination of half a Meyer lemon (with peel), 2 oranges (one peeled, one whole – although you could peel both if you prefer less bitterness), and a quarter of a teaspoon of turmeric. I placed it all in the juicer and out came a frothy, sweet, bright orange treat. My kids drank two shots each; my husband and I each got one. I think we’ll add this to our daily routine because they make you feel really good like you are buzzing on the inside and I could see a healthy glow in our cheeks almost instantly. On day 76 of this 365 day project, I ate my daily five (including yesterday’s Asparagus Loaf, which is a new family favorite). Did you enjoy yours?